The Millennial Love Expert" offers relatable advice and therapeutic tools that help heart-broken singles heal and set the groundwork for the love they seek. In this comprehensive guide to crafting your own spiritual intentions, rituals, and blessings Mama Donna draws upon a variety of world cultures to show how to transform your environment into a sanctified haven. Ever wonder why your self-control, rationality, and compassion seem to go out the window when dealing with your partner? Click here to Learn More. After a tumultuous period of crisis, Victoria Price rebuilt her life by embracing a daily practice of joy, healing childhood wounds and reconnecting to the example set by her father Vincent, the famed actor. In this bold, comprehensive book, Hylke offers practical advice for coaching yourself and others, both one-on-one and one-to-many, influencing the people around you to evolve their mindsets to a more authentic place. How to transform a hobby or talent into a successful side hustle and live the life of your dreams. Sharon Wegscheider-Cruse shows you new perspectives and guides you to higher self-worth so that finally you can love yourself. 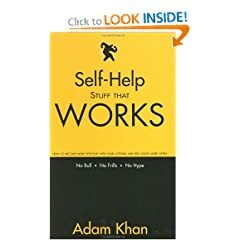 A no-nonsense, practical self-help handbook written in a friendly, entertaining, and concise style.